An energetic community beautifully defined by its relationship to parks and water. 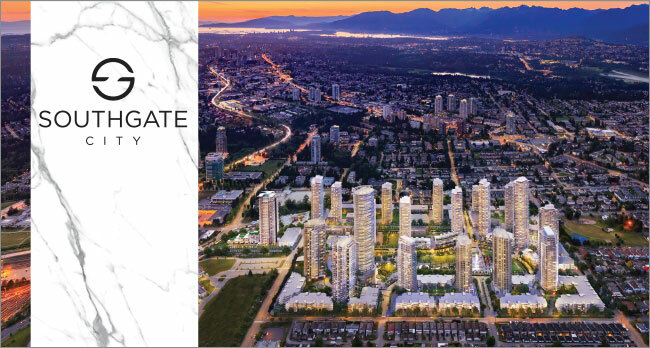 A revolutionary 52-acre master-planned community is born from the celebrated imagination of Ledingham McAllister in the central Edmonds neighbourhood of Burnaby. Shaped by towers, mid-rises, and low-rises, the community encircles a lush 5-acre park and is divided by a scenic river greenways. Find convenience and connection at the grocery store, shops, restaurants, and Community Centre, and link to all of Metro Vancouver at the Edmonds SkyTrain station only two blocks away. A new city is rising in Burnaby. Come home to Southgate City. Previews for Polygon’s Fulton House commence tomorrow with one-bedroom homes priced from less than $400,000 and two-bedroom residences from the low $500,000’s.